Moving Guru » Moving Guide » What Is a Rental Lease? What Is a Rental Lease? 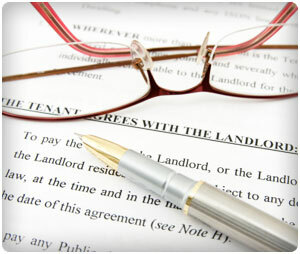 A lease is an agreement (contract) between you and your landlord. It establishes the terms of your apartment rental – i.e. how long you will live on the property and for what price. A rental is one of the most important documents you will sign, because it is a big commitment. If you break your lease, you can be on the hook for thousands of dollars. General information – Name, location, landlord, etc. Term – How long the lease will last. Rent – How much you will owe each week/month/year (usually monthly) and on what date. Also, fees for late rent and when they’re triggered. Deposit – The amount your rental deposit will be. A rental deposit is the amount you have to put down to secure the rental unit. It’s usually one month of rent. Learn how to get your rental deposit back. Applicable laws – There are many state laws that are addressed in leases, including habitability of the rental unit, the rights in the event of eviction, roll-over leases, and rent control (where applicable). Signatures – Always have both sides sign and date the lease, and have your own copy. Sometimes a co-signor (parent usually) can be included on the lease. Your lease should include specific terms unique to your rental unit. For example, will your landlord maintain the lawn for you? Always think about what can be added to avoid later dispute. Acquire the money – Make sure you have enough for the first month of rent, the rental deposit, and living expenses. Making a moving budget will help. Check the unit itself – View the actual unit you are going to rent and make sure you like it. Check out the neighborhood – Explore the nearby neighborhood during the day and night. You want to feel safe. Also, look at the local crime map. Read the lease – Too many people get lazy and don’t read their lease. Only later do they discover a term that is very bad for them. READ YOUR LEASE BEFORE SIGNING IT. If your concerned, have a lawyer look at it. Before you sign a lease, you need to find a place. Learn about how to find an apartment.